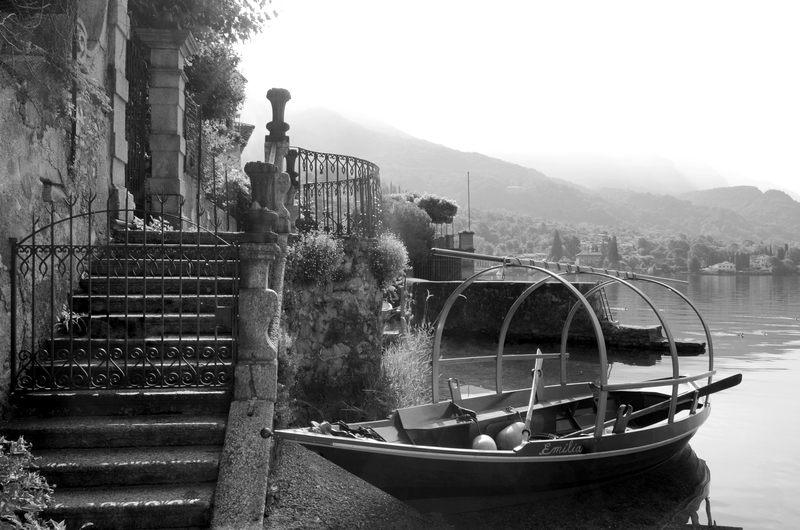 Once a common fisherman’s boat and used as everyday transportation by the inhabitants of Lake Lecco and Lake Como, The Lucia, was immortalized in Alessandro Manzoni’s romantic tragedy, The Betrothed (I Promessi Sposi). Manzoni describes Lucia’s sentimental and moving departure from the banks of the Adda River in the chapter “Farewell to the mountains” (“Addio ai Monti”) when Lucia rows her boat away escaping from the terrible villains, L’Innominato and Don Rodrigo, and searches for her true love, Renzo. The Lucia (La barca di Lucia) is made of wood and is easily recognized by its three wooden arches much like those used on wagons in the early exploratory days of America. The arches served as a frame to hang fishing nets, or in bad weather, a tarp to cover and protect the passengers. There are no motors or sails, they must be rowed. Every year in Lecco and the surrounding towns, Lucia boat races are held. It’s a beautiful sight to see the old –fashioned boats floating peacefully across the lake at sunset. The participants often dress in period costumes as well. Afterwards there are celebrations and a small festival in the main plaza.